Williams joins Shareef O’Neal and Jahvon Quinerly in decommitting from Arizona, and his departure leaves Sean Miller’s program with zero 2018 recruits. FBI documents showed that Quinerly was most likely the unnamed player who received a $150,000 payment from former Wildcats assistant Book Richardson, and he’s since landed at Villanova. Williams originally committed to Arizona last June, though he never signed a letter of intent, which meant he was not technically bound to the school. 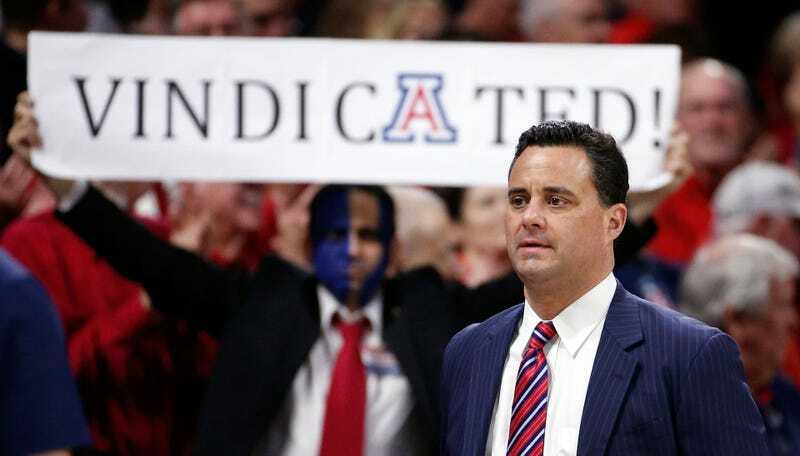 The Wildcats have brought in top-10 recruiting classes four years in a row, but now they face the possibility that the Miller wiretap saga will leave them without anyone to replace DeAndre Ayton on Allonzo Trier.